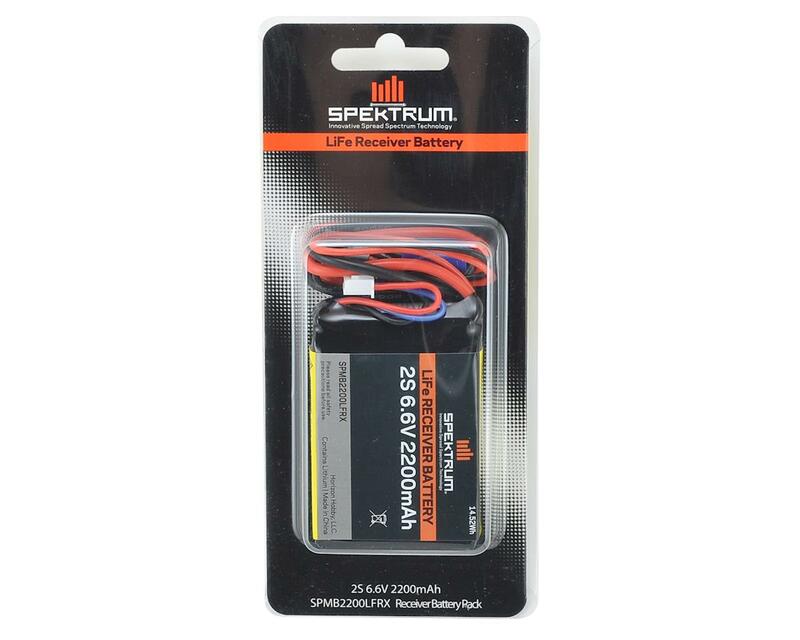 The Spektrum line of LiFe Receiver Batteries offer an excellent choice of capacity depending on each aircrafts unique needs. Featuring heavy duty 20AWG wire, & secondary servo connector, providing power to your electronics has never been easier. 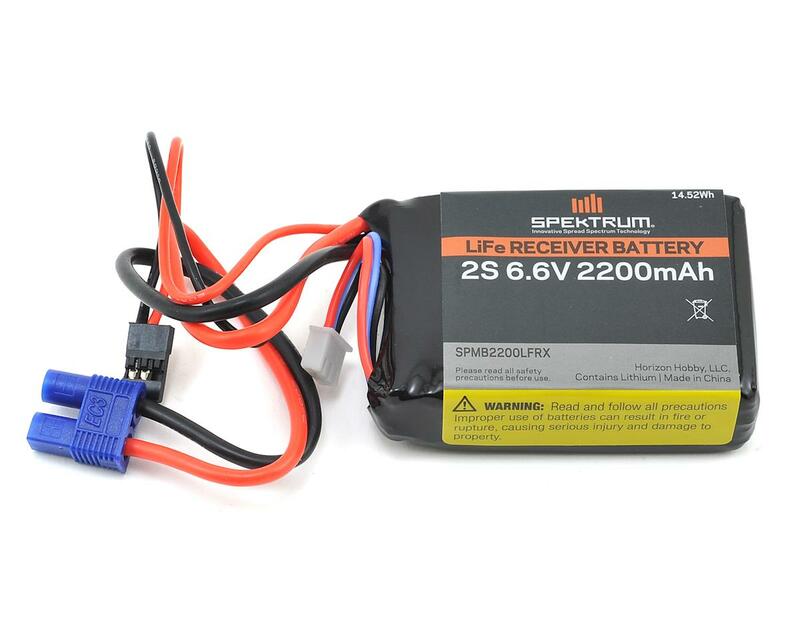 LiFe batteries have a lower nominal and fully charged voltage compared to LiPo, offering the ability to pair them direct with servos that are not intended for use with High Voltage that LiPo delivers. Most "6V" rated servos can run with LiFe without any additional regulators or BECs. Additonally LiFe batteries are much less volatile compared to LiPo in the event of a cell failure.